Esme Pederson's life needs a makover. She dreams of quitting her library job at a small Minnesota college to become a full-time weaver, but it's a risky thing to do and her ailing father needs her. 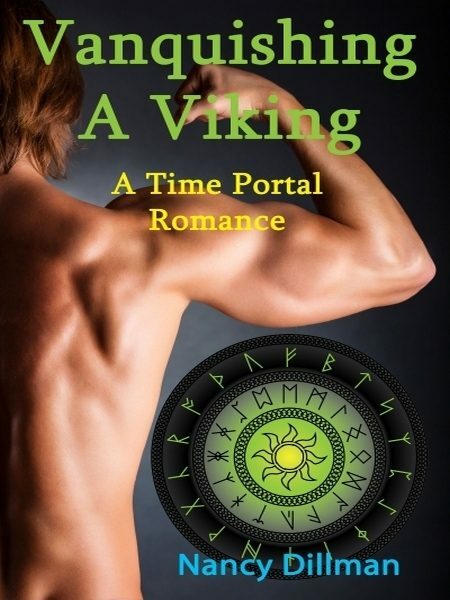 She also longs for a lover like the alpha hero in her favorite romance novel, but when a lightning strike sends her on a wild ride to eleventh-century Norway, the fierce Viking warrior who buys her as a bed slave turns out to be a sexist tyrant. Stein Magnuson has his own issues to deal with. Although embittered by his dead wife's infidelity and longing for vengeance against her former lover, he cannot risk a clan blood feud. The last thing he needs is another woman, especially one who thinks females have rights! Irresistibly drawn to each other, however, their passion flares hotter than an Icelandic volcano. But can love grow when neither is willing to compromise and all they ever do is argue?